믹스 품목은 5KG이상 주문할 수 없습니다. 밥스 레드 밀 13 종류 콩 2컵을 물에 담가두어 밤새 불려주세요. 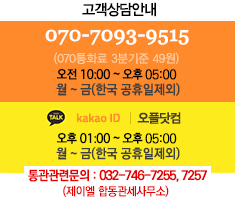 불려놓은 콩을 깨끗이 씻어준뒤 물 2 1/2 쿼터에 넣어 3-3 1/2 시간동안 끓여주세요. 기호에 따라 양파, 토마토 소스, 토마토, 또는 양념을 넣어 조리하세요. 기호에 따라 원하시는 요리에 넣어 사용하세요. 개봉 후 냉장 또는 냉동보관 하세요. 건강한 삶을 위한 밥스 레드 밀사의 13 종류 콩 수프 믹스입니다. 13가지의 다양한 유기농 콩이 들어있습니다. 흰 강낭콩, 검정콩, 팥, 핀토콩 (껍질색상이 얼룩덜룩한 강낭콩), 작은 리마콩, 큰 리마콩, 이집트콩 (병아리콩), 넝쿨 강남콩, 강낭콩, Black-Eyed, Yellow Split, 초록완두콩, 렌틸콩이 들어있습니다. 섬유질과 단백질이 풍부하며 콜레스테롤이 함유되어있지 않습니다. Bob's™ has dinner covered with 13 Bean Soup Mix. This mix is very easy to prepare, containing navy, black, red, pinto, garbanzo, great northern, kidney, baby lima and large lima beans; black-eyed, yellow split and green split peas; and brown and red lentils. No seasonings are added, so you can customize it to your taste! Always be ready for a delicious and satisfying meal with Bob’s Red Mill® 13 Bean Soup Mix. We’ve selected a unique and complementary blend of beans for soups, chilies or any recipe calling for beans. This is stick-to-your-ribs, hearty soup at its finest. No seasonings are added to the mix, so it's a great opportunity to create your own perfect blend of herbs and spices. Our colorful mix of navy, black, red, pinto, baby limas, large limas, garbanzo, great northern and kidney beans, black-eyed peas, yellow split peas, green split peas, and lentils provide exceptionally rich flavor, whether you follow the basic cooking instructions on the package or create an elaborate bean-based dish of your own. Our 13 Bean Soup mix can be a great base for a healthy and protein-packed chili. Just add tomatoes, chili powder, a mix of vegetables like onions, bell peppers, zucchini, poblano peppers and corn for a satisfying bowl of 13 Bean Vegetable Chili for Meatless Monday. For a meat version, simply add ground beef, turkey or even cubed steak or chicken. [Caution] Store in a cool, dry place. Rinse 2 cups of Bob's Red Mill 13 Bean Soup Mix, then soak overnight in water to cover. In the morning, darin and rinse the beans. Combine the beans with 2 1/2 quart of water and ham hock, bring to a boil Reduce heat and simmer until beans are soft, 3 to 3.5 hours. Add onion, tomato sauce or tomatoes and seasonings. Simmer for 30 minutes. Make 8-10 servings. For an interesting variation, try using our Bean Soup Seasoning Mix-we do all the spice mixing for you! [Ingredients] Navy Beans, Small Red Beans, Pinto Beans, Black-Eyed Peas, Baby Lima Beans, Yellow Split Peas, Green Split Peas, Lentils, Great Northern Beans, Black Beans, Large Lima Beans, Red Lentils, Red Kidney Beans, Garbanzo Beans.